draped in various lights and the ambience and the vibe is very lively and enthusiastic. 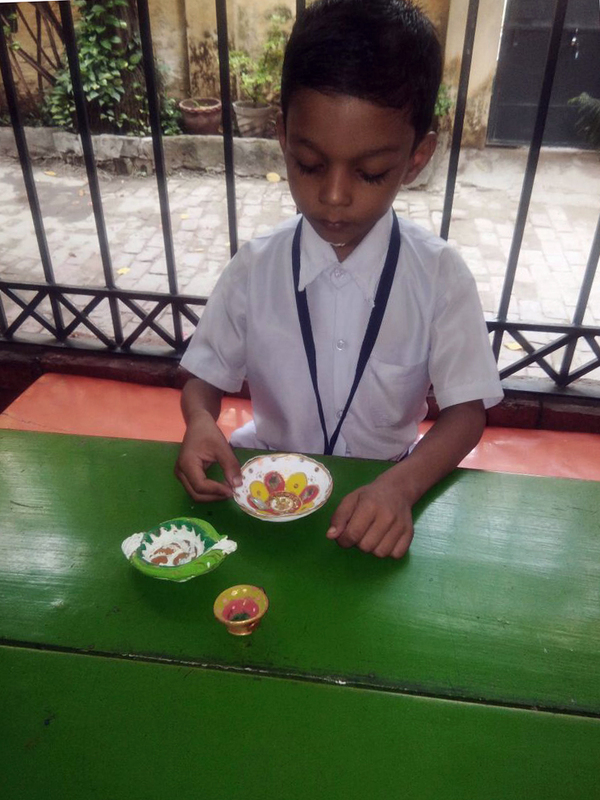 At school, children made Diyas (lamp) for Diwali. 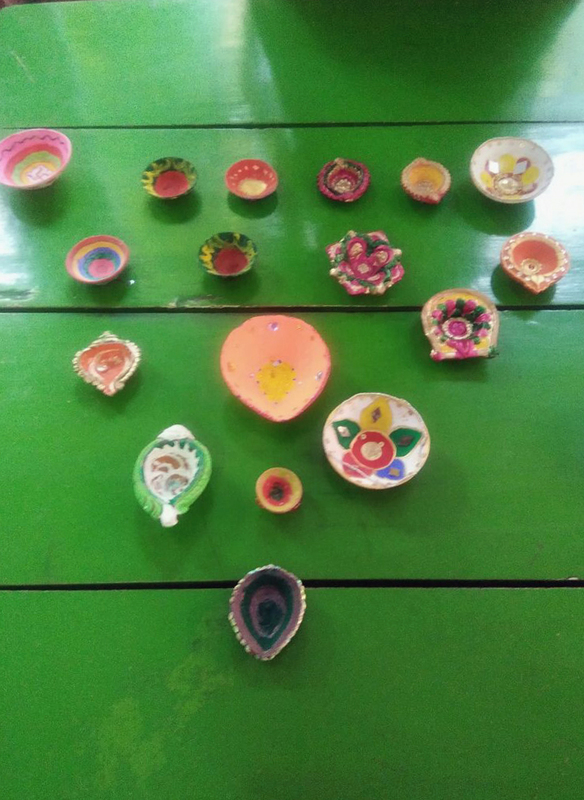 They decorated the classrooms and also took few home to decorate on the day of Diwali. Keeping the festive spirits aside, the half-yearly examinations started from 7th of October. exams concluded on the 17th of October. The children are writing the papers now for which they had started preparations a few weeks ago. 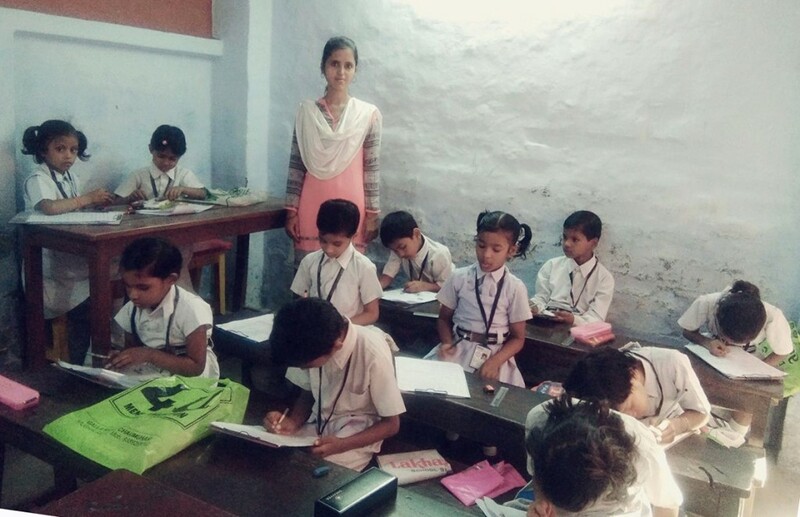 At Naveen School, we do our best to not make examinations strenuous for the children and develop healthy competition amongst them. There are many revision classes which take place before the exams so that the students are well prepared for the course. Break for Diwali is commencing from 18th October to 21st October. sending out one in the coming months. We hope that through our blog you are getting updated with the happenings in Naveen School. We wish you a very Happy Diwali from our end! Will share Diwali updates in our next post.